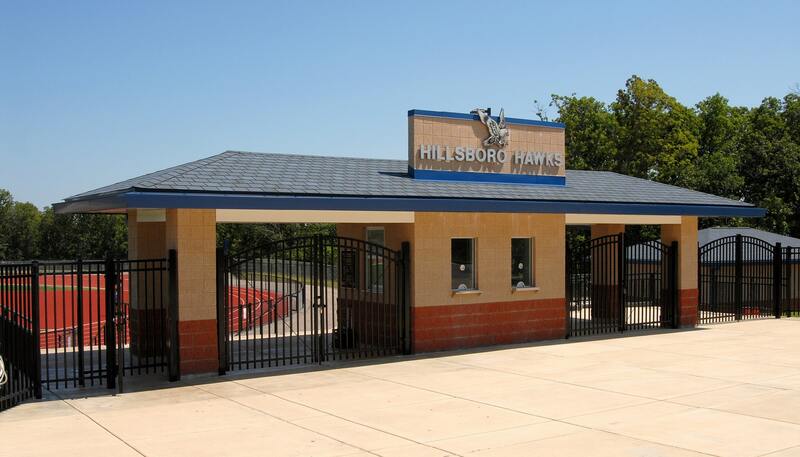 Hillsboro R-III School District located in Jefferson County Missouri presents significant challenges for major campus and site development due to hilly topography and rocky geology. 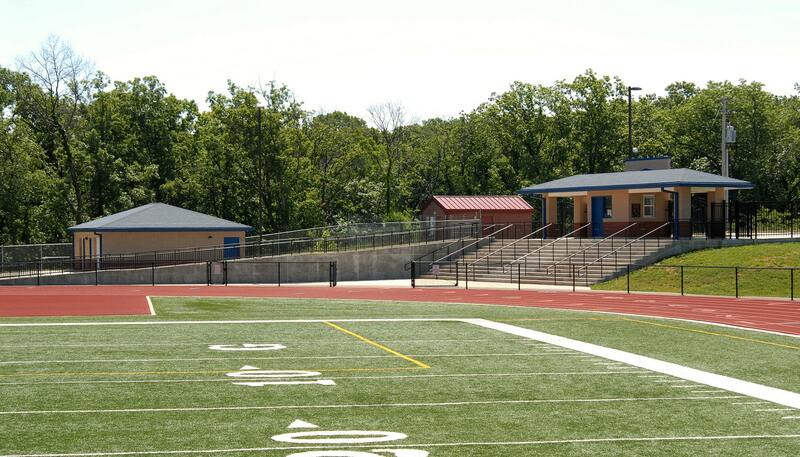 Both characteristics presented significant challenges and costs related to development of the football field and track complex and ball diamonds at this high school campus. Major earth and rock removal were required to develop this centrally located athletic complex that includes a new ticket booth with covered access that controls and directs the public into the complex. Additional grade changes are addressed for ADA access including accessible ramp and stairs. The facility includes an eight-lane polyurethane running track with space for the appropriate field events. The track and baseball field are lighted for evening events. 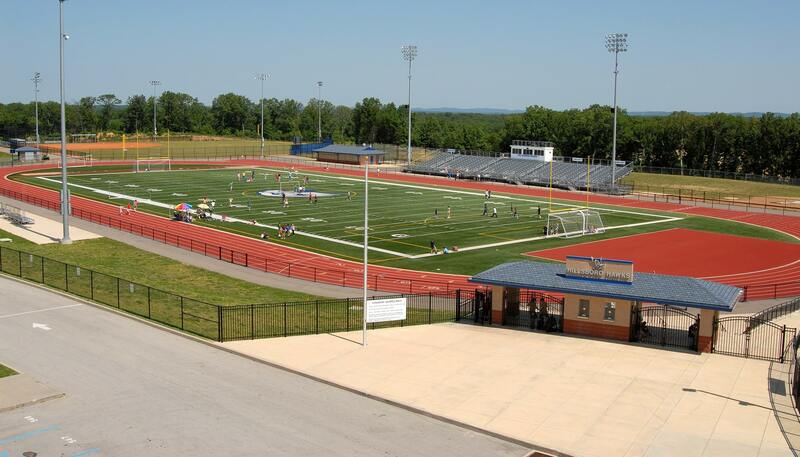 The athletic field includes new synthetic turf, a press box and grandstands with the capacity for 1,445. The baseball field is constructed with natural grass and includes and underground sprinkler system, two warmup cages with dugouts and double batting cages. The concession/restroom facility is situated centrally and includes concession windows with storage and a complete dishwashing area.